After the hailstorm on Sunday, the tournament resumed on Monday. The Californian maintained his advantage over Casey in the two holes that were missing and added his fifth victory in the tournament. 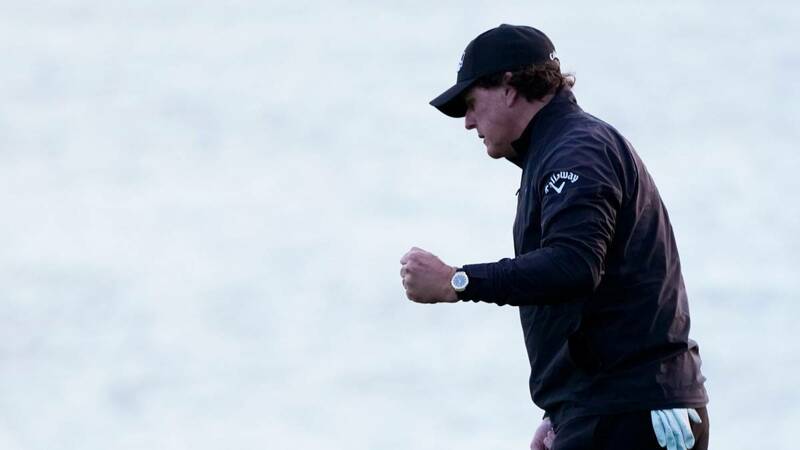 Don't feel the pulse on Monday of Phil Mickelson at the Pebble Beach Golf Links. The Californian left-hander had to finish on Monday in the Monterrey track the last day of the AT & T Pro-Am, that had to be suspended on Sunday because a tremendous hailstorm hampered the development of the day and he, in -18, and English Paul Casey, at -15, with two holes to play , was left without light to finish his lap. Did not like the decision to stop Mickelson, who was at a good time, with six birdies without failure until the suspension for -6 on the day. But Casey, after bogeys on the 11th and 12th, a key putt for par on the 16th and the damaged greens after several days of competition and the hail, logically preferred to stop. In the resumption it was not fine. He had a birdie putt on the relatively comfortable 17, but he read it wrong and missed on the left. He made the pair, like Mickelson, and both scored the birdie on par five of 18. Leftie sealed his fifth victory in the tournament, after the 1998, 2005, 2007 and 2012, equaling Mark O'Meara as the golfer who has won the most times.